Untuk platform Lego Mindstorms NXT, NEXT SYSTEM Robotics Learning and Experience Center menyediakan produk dari Lego Education dan pelatihannya. Kami pun menyelenggarakan sejumlah program pelatihan khusus, seperti Robotic for Teachers, Robotic for Kids, Robotic for Parents dan Robotic for Families; serta topik khusus sesuai dengan kebutuhan peserta. Selain set lengkap, kami pun menyediakan komponen lepasan seperti NXT Brick, Motor, Sensor dan yang lainnya. Juga tersedia sejumlah materi dan aktivitas untuk pembelajaran yang dikembangkan oleh Lego Education, Carnegie Mellon University, dan yang lainnya. 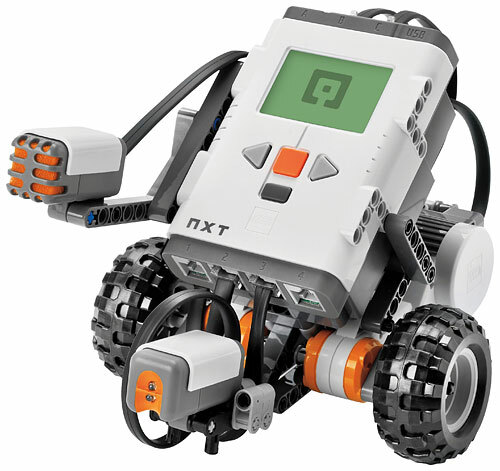 Lego Mindstorms NXT Education Base merupakan set robot LEGO® Education seri terakhir. Set dilengkapi dengan box plastik yang kokoh serta tray untuk menempatkan komponen. Juga dilengkapi dengan batere rechargeable Lithium Polymer 2100 mAH, yang akan memberikan kenyamanan ketika berpraktek. Batere Lithium Polymer 2100 mAH Rechargeable (New), yang memiliki kapasitas 40% lebih besar dibanding edisi sebelumnya. Kabel konverter untuk mendukung sensor dan motor dari model robot Lego sebelumnya. 431 buah komponen Lego Technic, untuk membangun konstruksi robot. Tempat Penyimpan dari Plastik, lengkap dengan Tray. 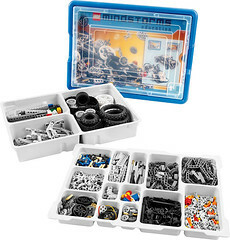 Lego Education Resource Set merupakan set tambahan yang berisi sejumlah besar elemen LEGO Technic. 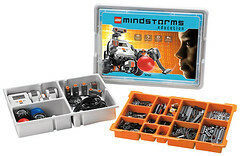 Set ini terdiri dari 817 elemen untuk melengkapi LEGO® MINDSTORMS® Education NXT Base Set Anda. 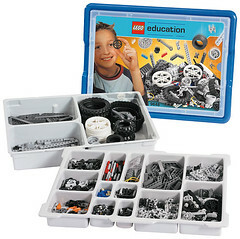 Lego Mindstorms Education Software – gambar atas kanan – merupakan software untuk memprogram NXT, dan dijual terpisah. Software ini dibangun dengan engine LabVIEW™ dari National Instruments dan bekerja dengan NXT Brick. Software ini berbasis icon, sehingga siswa dapat mempelajarinya dengan mudah dan dalam waktu yang singkat. Di dalam software tersedia dua palet pemrograman, mudah dan tingkat lanjut. Juga terdapat Robot Educator, sebuah panduan dan kumpulan tutorial (39 tutorial) ber-animasi, untuk membantu siswa dan guru dalam mempelajari pemrograman robot. Software dapat berjalan di atas sistem operasi Windows XP dan Mac OS X. Dengan Site License dimungkinkan untuk meng-install software di seluruh komputer yang ada di satu sekolah. Di dalam versi terakhir, Mindstorms Education Software 2.0, terdapat fasilitas data logging, untuk pencatatan data hasil pengukuran. 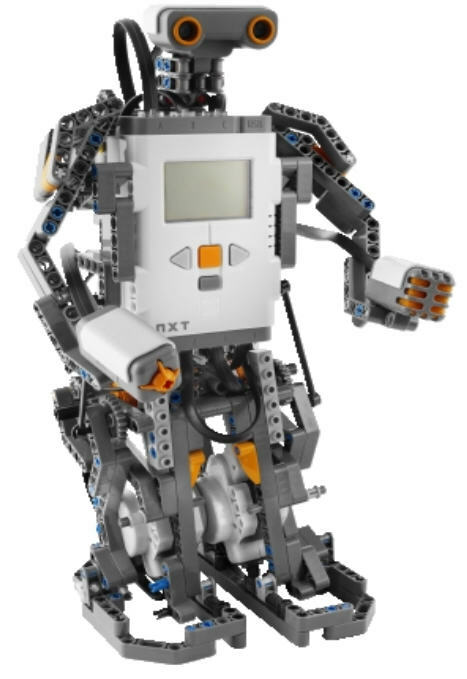 Mindstorms Education Software atau lebih dikenal dengan NXT-G, cocok untuk tingkat pemula dan menengah. 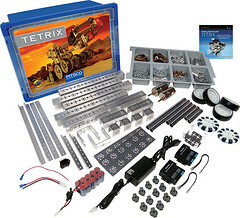 NEXT SYSTEM Robotics Learning Center menyediakan produk TETRIX dari Pitsco Education, berupa TETRIX Education Base Set (W739143) dan TETRIX Resource Set (W731900). 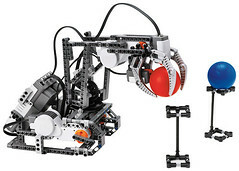 TETRIX Education Base Set menyediakan semua yang dibutuhkan untuk membangun robot metal TETRIX yang dapat dikendalikan LEGO Mindstorms NXT Intelligent Brick (Lego Mindstorms NXT merupakan set terpisah). TETRIX Resource Set menyediakan sejumlah piranti konstruksi tambahan untuk membangun bentuk robot yang lebih rumit. Dalam set ini tidak ada piranti elektronik atau elektrik. 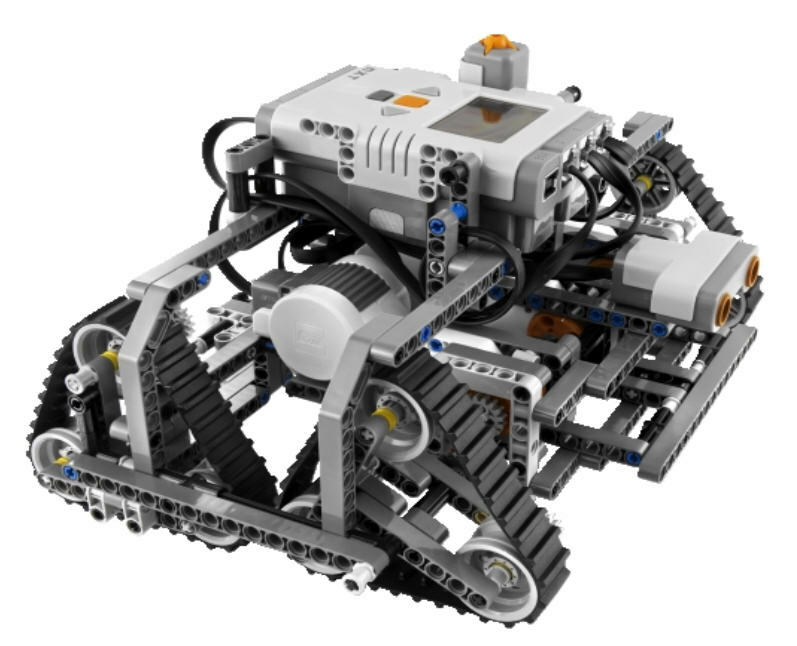 Based on the industry-standard C language, ROBOTC® is a single programming solution for both LEGO®® MINDSTORMSNXT and RCX and TETRIX™ by Pitsco robotics systems. 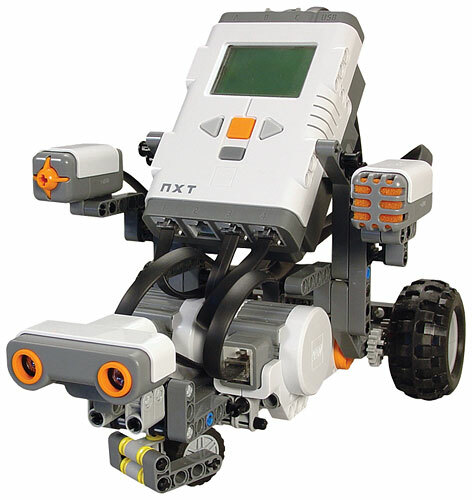 ROBOTC is specifically designed to program educational robots. It includes a user-friendly interface with basic and advanced programming options designed to enhance a new programmer’s learning experience. Now you can make robots that know which way is up! The HiTechnic Acceleration Sensor measures acceleration in three axes – x, y, and z. It also measures tilt along each axis. Using the sensor, you can measure the acceleration of your robot in the range -2g to +2g, with scaling of approximately 200 counts per g. The acceleration measurement for each axis is refreshed approximately 100 times per second. The sensor is great for experimenting and modeling acceleration forces in cars, on amusement rides, and even on swing sets. This sensor will also tell you if your robot is level, so you can build self-leveling robots and much more. Add a spectrum of color to your models with the updated HiTechnic Color Sensor! 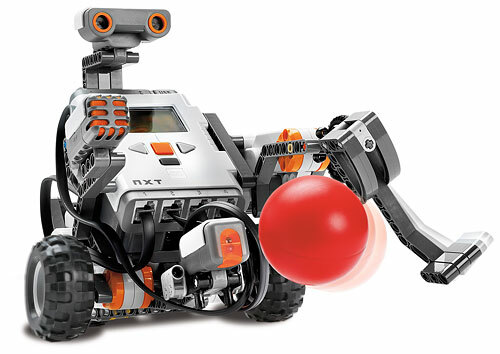 Detect a range of target colors and program your NXT robot to react to each color. The color sensor is “tuned” to standard LEGO colors. When positioned over a surface, the sensor will return a numeric value identifying the target color. The sensor operates by using three different-color light-emitting diodes (LED) to illuminate the target surface and by measuring the intensity of each color reflected by the surface. Using the relative intensity of each color reflection, the color sensor calculates a color number that is returned to the NXT program. The color number calculated by the sensor is refreshed approximately 100 times per second. Tell your robots exactly where they should go with the HiTechnic Compass Sensor. This digital compass measures Earth’s magnetic field in order to provide accurate navigation to your NXT projects. Use the sensor in Read mode to calculate the current position, or use it in Calibrate mode to compensate for externally generated magnetic field anomalies (like those you find near motors or batteries). Either way, you’ll find this sensor to be a great addition to your MINDSTORMS® Education robotics set! Play robot soccer and zero in on your infrared (IR) beacons with the new and enhanced IRSeeker V2 (Version 2). You can use most TV remotes and LEGO® Power Functions remotes as beacons that the IRSeeker V2 will detect. With a specially designed curved lens and five internal detectors, the IRSeeker V2 has a 240-degree view, making it perfect for playing robot soccer with the HiTechnic IRBall. The HiTechnic Gyro Sensor contains a single-axis gyroscopic sensor that detects rotation and returns a value that represents the number of degrees per second of rotation, allowing the NXT to measure the additional dimension of rotation. The gyro sensor will let you accurately detect rotation for your NXT projects. The gyro sensor returns the number of degrees per second of rotation and also indicates the direction of rotation. Measure +/- 360° per second and build robots that can balance, swing, or perform other functions where measurement of rotation is essential.